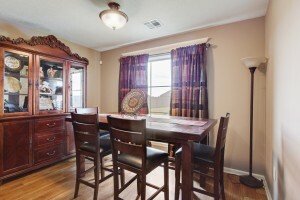 Great new listing in the booming Harper Ranch! At approximately 1600 square feet living.This Beautiful home has 3 bedrooms and 2 full baths, an open and split floor plan, durable wood look floors, large fenced yard and a 2 car garage. Home sits in Flood zone X (no flood ins required). The 1st phase of Harper Ranch has sold out and the 2nd Phase has begun with a 3rd phase in the works. Neighborhood is full of young growing families and has something to offer to everyone. Home is priced at $197,000 . A brand new listing. 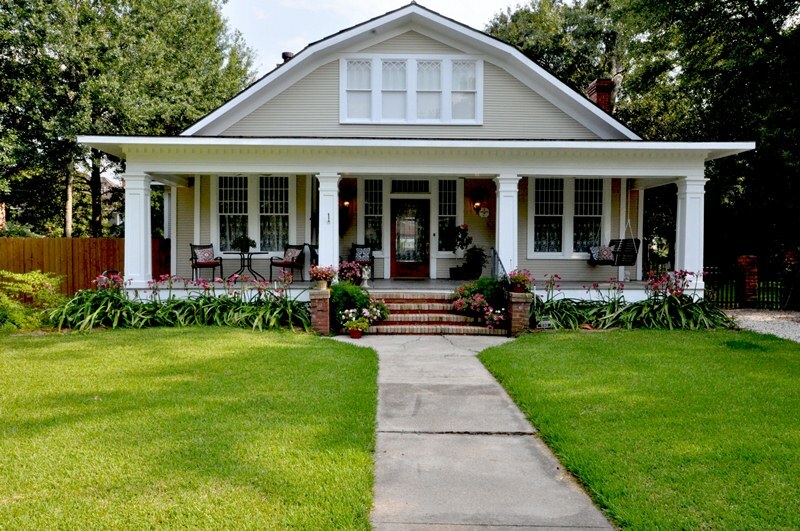 This is a beautiful Lake Charles garden district home. Rare opportunity in the Charpentier District! Within walking distance to the lake, downtown eateries and shops. This lovingly restored home has been designated as a Landmark House by the Calcasieu Historical Preservation Society. Pride of ownership is visible in the heart of yellow pine floors, cypress doors and overall condition of the home. Bright and airy, large rooms throughout. Updated kitchen,large modern master bath, original windows and lots of storage space. 5 gas fireplaces throughout house. Home sits on a large corner lot with lush, mature trees. There is a bonus, one bedroom Guest Cottage to entertain family and friends. Large 3 car garage with attic storage above. 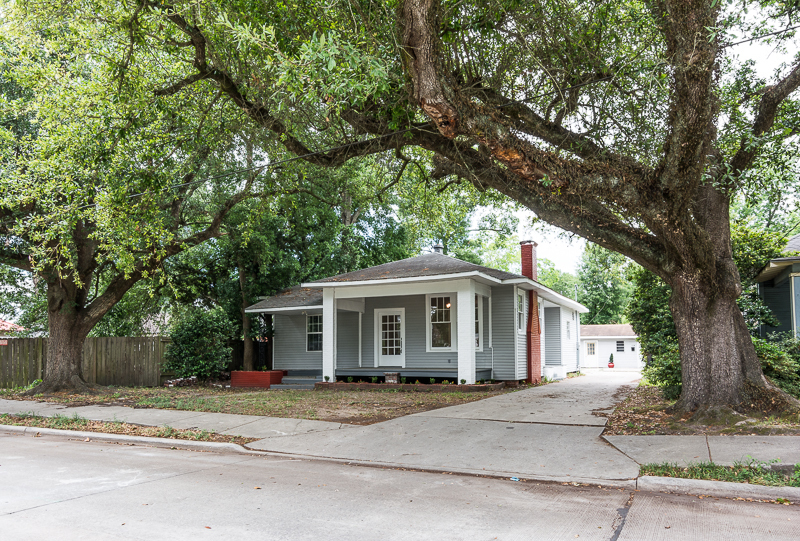 Beautifully remodeled 3 bedroom/2 bath home close to downtown, schools and shopping. 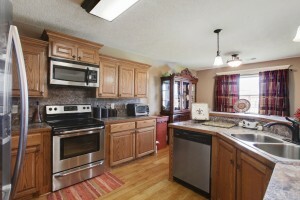 Granite countertops in kitchen and in the beautiful bathrooms, refinished original wood floors, lots of windows. Fireplace in master bedroom and living room. Bonus 2 updated, 1 bedroom/1 bath detached apartments in the rear of property! Beautiful custom brick home with some exceptional finishes. 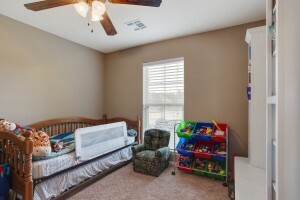 It has 9ft and 10ft ceilings, double trey ceilings, double stacked crown molding, a formal living area and den. 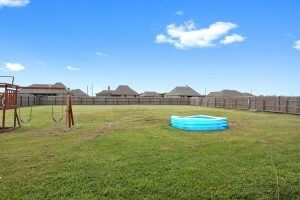 Lush landscaping along with a sprinkler system and a fenced yard. Detached double carport with attached workshop is included in total square feet. This new listing at 2450 Hannah Ln. 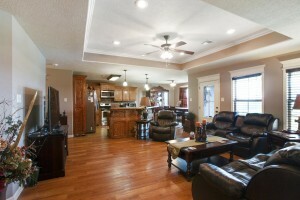 in Lake Charles is a custom built home it is in immaculate condition and has 9 ‘ & 10’ ceilings. Beautiful double stacked crown molding throughout the house. Kitchen features include a Thermador gas range. 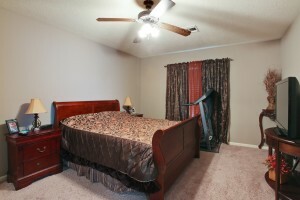 The home comes equipped with a home security system, a built in surround sound system, and updated electrical fixtures. Front landscaping has an installed sprinkler system, and the patio area has a gas line for BBQ. Public water meter has been paid for by the owner. 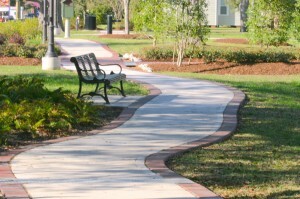 Lake Charles offers a relaxed, friendly southern lifestyle in a city with lakes and waterways. 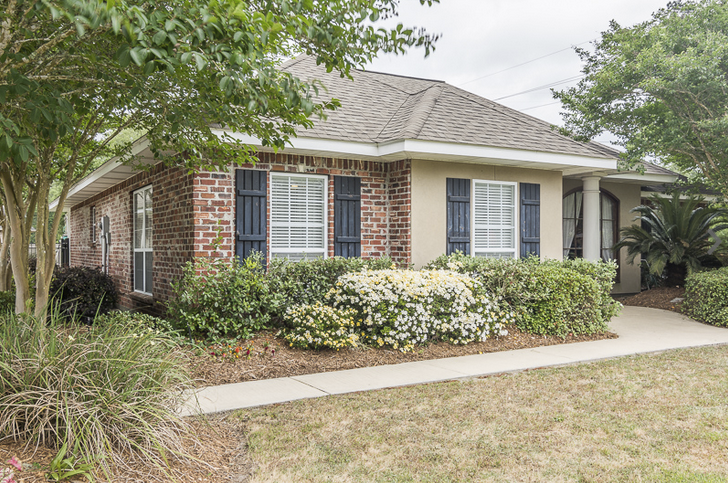 You will find many beautiful homes for sale in Lake Charles, LA. Graywood Estates, Gedding Estates, Kings Point, and Pentagli Square, are just a few areas that are in high demand among others. Louisiana pines and live oaks line the streets of these residential districts with schools and parks for growing families. The city is located off of Interstate 10 in the southwest part of the state on the shores of Lake Charles, Prien Lake and the Calcasieu River. Contraband, Henderson and English bayous flow through the city with a connection to the Calcasieu Ship Canal. I would love to help you find homes for sale in Lake Charles, LA that fit what you are looking for. I want you to make the right decision and enjoy living in this colorful region of Louisiana. This is Acadiana and people are proud of their Cajun heritage. The Contraband Days Festival in May is the biggest event along with Mardi Gras. You can also enjoy the Live at the Lakefront Music Festival, Rouge et Blanc and the Downtown at Sunset concert series among other musical events. Contraband Days is a 12-day family celebration of Cajun and country music, food, boat parades and people having fun in pirate costumes. According to an old legend, Jean Lafitte, the notorious and colorful pirate, hid among the lakes and bayous of this region over 200 years ago. He hid his treasures somewhere in the vicinity although it was never found. Celebrate Contraband Days this year from April 29 to May 11. Watch as Jean Lafitte and has band of pirates capture the mayor and make him walk the plank into the lake! Gaming is popular in Lake Charles and the L’Auberge du Lac Casino Resort is a 26-story hotel, casino and spa complex with an event center and 18-hole golf course. Golfers will also enjoy the Mallard Cove, Contraband Bayou, Pine Shadows, Gray Plantation and Lake Charles Country Club golf courses. The mild climate in southwest Louisiana makes golf a year-round sport. 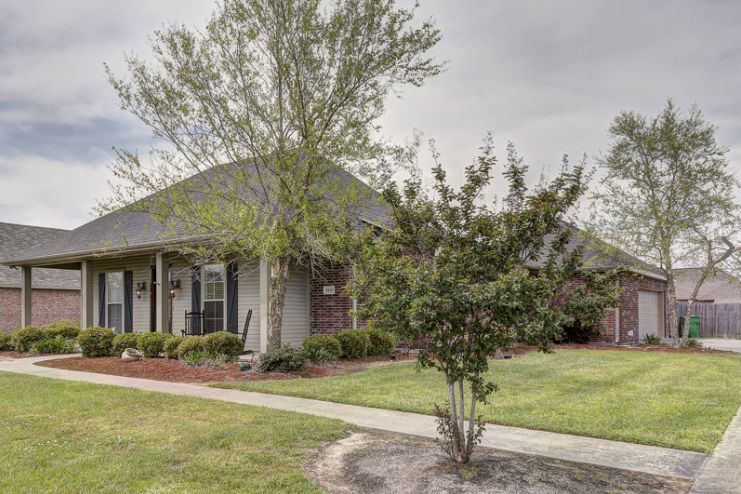 Graywood is a planned community around the 18-hole Gray Plantation Golf Course. 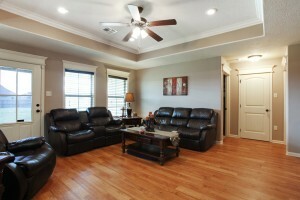 This community in South Lake Charles has five planed neighborhoods featuring a variety of home designs. Waterfront homes and lots are available. CNN named the Lake Charles region as one of the top 25 places to retire. The area has an abundance of bayous, rivers, marshes and lakes. As businesses continue to expand, the area will undergo tremendous growth. It is speculated that anywhere from 50 to 80 billion dollars of industrial and port projects will create a massive amount of jobs and related opportunities over the next few years. Bloomberg Businessweek forecasts that the region, also known as “The Lake Area,” which includes Lake Charles, Westlake, Sulphur, Carylss and Moss Bluff, will have the strongest real estate market in Louisiana, in 2014. Create a custom marketing plan for your home. Provide a competitive market analysis to determine the most effective listing price. Explain the financing options for buyers and how they impact the sale. Receive an estimate of the proceeds you can expect from the sale of your home. Expect regular updates that keeps you informed of competitive market conditions, buyer activity and my marketing efforts. Many communities make up Southwest Louisiana. They offer a diversity of homes styles and an assortment of amenities. They include custom built and executive homes. I will sit with you to discuss your needs and goals, including the various “agency” options for you, and the seller. For example, a buyer representation agreement provides more advantages which you may prefer. Select a real estate professional that has the mission of building lasting relationships by providing clients with service that exceeds expectations. I will provide you the information and tools you need to be an educated seller or buyer regarding homes for sale Lake Charles LA. There are many great reasons to look for homes for sale in Sulphur LA, whether you enjoy playing a round at the 18 hole public golf course or taking in the smells and sights of the regular community festivals, our city is a vibrant place with plenty to see and do for everyone. Sulphur has a lot of rich history, it was named after the Sulfur mines which were mined in the early 1900’s. The City then expanded into oil and many of the early neighborhoods were built for the purpose of housing refinery workers. Don’t be concerned, housing in Sulphur has come a long way since then. If you enjoy history and want to find out more, you can drop by Brimstone Museum and Henning Cultural Center. With around 20,000 residents Sulphur has all the amenities you need, from restaurants to water parks, when you look to purchase a home in the city of Sulphur LA, you are looking to buy into a city that is steeped in history, yet also moving along with the current times. Sulphur also has plenty of room to grow, giving home buyers like yourself more space to relax or bring up a family. Fair housing prices give you the chance to buy a quality home with everything you are looking for at a lower price per square footage, compared to what you would find in other cities. On top of these prices you get a great school district with highly rated schools. Our city is also a great base for travel with many big cities close by and the Texas border only 20 miles away, this makes getting away every now and then both easy and enjoyable. 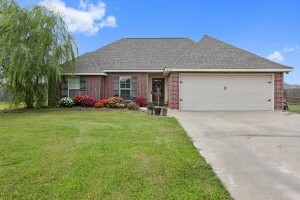 If you are looking for homes for sale in Sulphur LA, whether you are a long time resident, or still considering the area, I would be more than happy to show you around. I can show you houses that meet all your requirements and maybe even throw some extras in. I am proud to be a central part of this city and would love for you to experience the Sulphur that myself and my family embrace as our home.